My name is Mark Polk and I am the owner of RV Education 101. 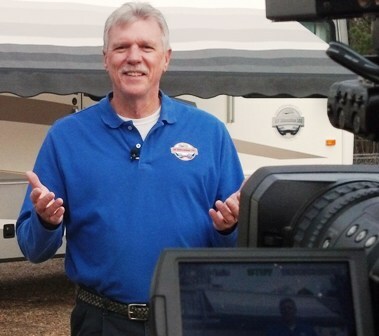 Over the past 15 years we have helped educate millions of RV owners on how to safely and properly use and maintain their RVs through our RV training DVDs, books, E-books and numerous websites. 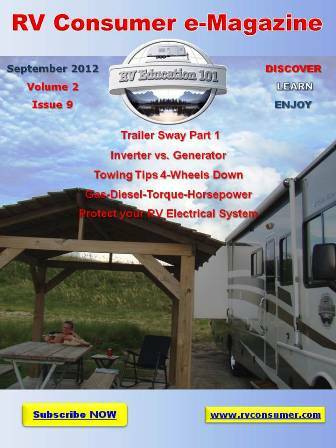 Most of our RV Education 101 training material is intended to help new RV owner’s and first time RV buyers. There is a big learning curve for new RV owners, but as time passes owners learn the RV basics and want more advanced knowledge and information about their RVs. That’s where the RV DIY Channel comes in. You might say we are advancing from RV 101 level training to RV 201 level training. Especially for those RV do-it-yourselfers out there. My plan is to offer informative RV DIY articles, RV DIY videos, RV DIY projects and to offer information on what I consider to be the keystone of a good maintenance program, Preventive Maintenance (PM). Purchasing an RV is a major investment similar to your automobile or home. To protect your investment and get many years of reliable service and use from your RV there are certain measures you need to take. There are three types of maintenance for your RV. Preventive maintenance, scheduled maintenance and emergency maintenance. Preventive Maintenance –Preventive Maintenance is maintenance you perform on your RV before a problem exists. These checks are designed to prevent or identify potential problems that could lead to mechanical breakdown, malfunction or failure of a component or system on your RV. Preventive Maintenance consists of cleaning, inspecting, lubricating, adjusting and servicing your RV. Scheduled Maintenance – Scheduled or routine maintenance is performed in intervals normally based on time, mileage or hours. Scheduled maintenance is designed to keep your RV in top operating condition and prevent untimely breakdowns and repairs. It is important that you read your owner’s manual and warranty information in regards to whom is responsible for what when it comes to scheduled maintenance. Scheduled maintenance that is required by the manufacturer and not performed can void your warranty. Emergency Maintenance – Maintenance and / or repairs required when you least expect it due to component, system or mechanical failure. In most situations emergency maintenance is required because preventive maintenance and scheduled maintenance were not performed. You can subscribe to the RV DIY Channel and get notified of new posts or just keep checking back for new and informative RV DIY articles and videos.